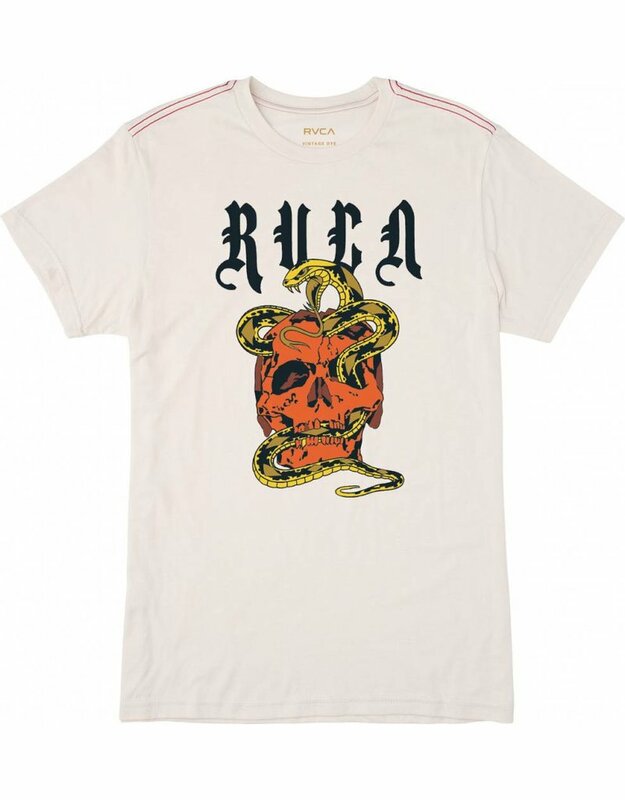 The RVCA Dmote O.E. T-Shirt is a slim fit, vintage dye short sleeve tee with a front/back screenprint graphic by ANP artist Dmote. It has contrast red stitching at the shoulders and a screened inside neck label for added comfort.